Home » Blog » White Spots on Toenails – Everything You Need to Know! 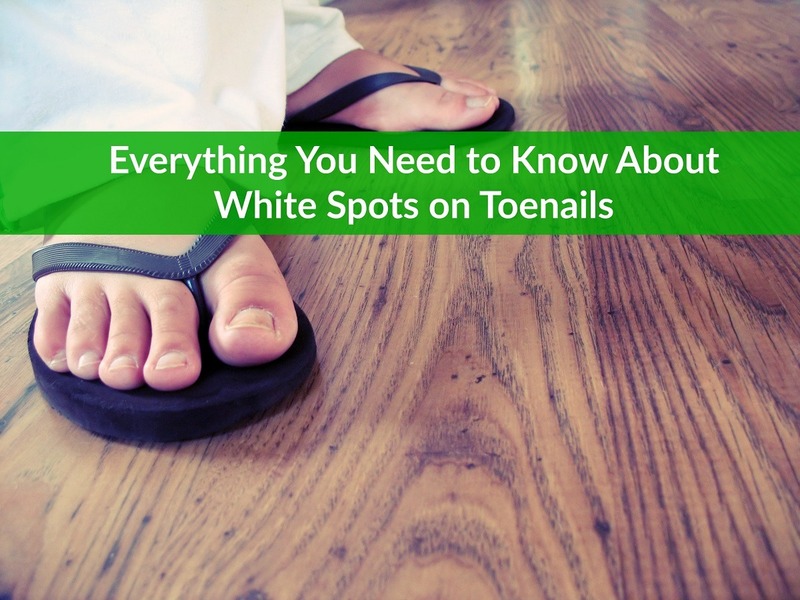 White spots on the toenails are relatively common in both adults and children. In most cases, these spots indicate nothing more than a slight injury to the matrix – the part of the toenail where new nail is produced. However, there are times when a white spot in a toenail indicates something a little more serious, such as a fungal infection, allergies, nutritional deficiencies or a disease like a kidney failure. Most of the time, the spots will go away as the nail grows out or with home remedies. Occasionally, a doctor’s care is required. Here’s what you need to know about white spots on toenails. The entire nail should be smooth and relatively thin. With the exception of the lunula, the whole nail should be the same color. Although nails normally vary in thickness, very thin, brittle nails are not considered healthy, nor are excessively thick nails. The word comes from two Greek words: leuko, which means white, and onux, which is the Greek word for nail. Symptoms related to white spots on the toenails vary according to the cause and may also be related to other medical conditions like diabetes. Besides white or yellowish spots, trauma may cause bleeding under the nail, which results in bruising and a blackened appearance. As the bruising disappears, the injured nail often becomes white. If there is no bleeding, the white spot may still appear. In addition to round or irregular spots, white lines may sometimes develop from trauma. Fungal infections may cause a bright white discoloration that affects part or all of the nail, although they usually appear first near the tip of the nail rather than the cuticle. A fungal infection may also be accompanied by white or yellowish drainage that sometimes has an odor. Calcium deficiencies that cause white spots may be accompanied by weakened bones, while zinc deficiency can also weaken the immune system – resulting in frequent infections – and cause hair loss. When the toenail is injured, the nail bed or matrix may also be damaged. The injured tissue scars, producing a characteristic white spot. The trauma can be acute – such as that caused by dropping an object on the toe – or chronic, which is most likely to be caused by poorly fitted shoes. White spots may appear immediately or several weeks later. Fungi are present in air and soil. The feet offer good conditions for fungi to grow because they provide a warm, moist environment. Wearing toenail polish constantly can also allow nail fungus to get a good start under the polish because the polish shuts out oxygen. Tight, closed-toe shoes also promote fungus growth for the same reasons and can cause direct injury to the nail matrix. Calcium deficiencies can cause white spots on toenails and fingernails as well as weak bones. An allergic reaction to nail care products such as nail polish, polish remover or nail hardeners can also cause white spots in the toenails. White spots in the toenails are rarely serious, but they can appear in combination with some heart, kidney and liver diseases, in which case they would be accompanied by other systemic symptoms. Thyroid disease can also cause white spots and white spots sometimes appear in the toenails of people who have psoriasis. In most cases, white spots in the toenails don’t really need treatment. They are not usually harmful or threatening to health, although people may find them unattractive or embarrassing. It can take several months or even as much as a year for the white spots to disappear, as the discoloration is actually embedded in the nail itself, and the nail must grow completely out to eliminate the spots. White spots that result from an injury need no treatment; they will disappear over time as the nail grows out. If you suspect nail products like nail polish are the source of the problem, simply stop using them entirely for several months. Fungal diseases typically require both lifestyle changes and direct treatment. Since the warm, moist environment of the feet is conducive to fungal growth, one of the first steps is to keep the feet dry. Wash your feet daily, dry carefully and change socks at least once a day. 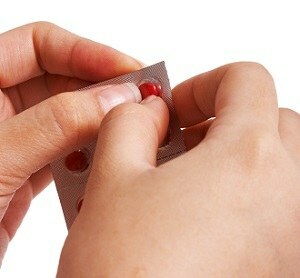 There are a number of medications available over the counter for fungal infections. n more serious cases, a doctor can prescribe an anti-fungal cream, lotion or spray, or may opt to use an oral anti-fungal medication. Prescription medications may be necessary for people who have other problems like diabetes, as they don’t fight off infections easily. Ciclopirox (Penlac) is an anti-fungal nail polish available only with a prescription. It will both cover the white spots and treat nail fungus. It must be applied daily to both the nail and surrounding skin. It is removed once a week with rubbing alcohol. Loprox is another topical prescription anti-fungal. Lamisil or Diflucan are oral anti-fungals; they must be taken for several months. Prescription supplements for minerals like calcium and zinc are also available from a physician. Home remedies fall into two categories: prevention and treatment. Along the lines of prevention, nail care strategies such as not cutting the nail until it is past the tip of the toe may be helpful. Toenails should also be cut straight across rather than rounded. Don’t cut or push cuticles back too aggressively, as that may damage the nail matrix. Always use clean nail care implements and clippers specifically designed to cut toenails. Although too much moisture can lead to problems, feet that are overly dry, cracked or rough can also promote the growth of nail fungus. Wash and dry your feet thoroughly, apply moisturizer and rub in well before putting on clean socks. Eat a healthy, well-balanced diet that is rich in vitamins and minerals like calcium and zinc. Calcium-rich foods include leafy greens and dairy products, while zinc is abundant in grass-fed beef and other meats and poultry, as well as yogurt, pumpkin seeds and spinach. Make sure your shoes fit properly, especially in the toe area. Help protect your feet from injury and fungal infections by wearing shoes when outdoors. Footwear is particularly important in public areas like swimming pools, as many fungi are found in such places. However, if you are at home and engaging in an activity like reading or watching television, going barefoot helps keep your feet dry and allows full range of motion in the toes. As far as treatment is concerned, vitamin and mineral supplements are readily available if low levels of calcium and zinc are the problem. Paint the oil on the affected nails two times a day. You should continue this treatment for at least two months; it may take as long as a year for the nail to grow out and white spots to clear completely. Since treatment is dependent on the cause of the white spots and it may several weeks or months to see if treatment is effective, it may be worthwhile to see a doctor early in the game to identify the cause of the problem. For example, fungal diseases will respond better to treatment if it is initiated in the early stages. Blood tests can help identify vitamin or mineral deficiency. In cases of very severe fungal infections, it may actually be necessary to remove the infected toenail to cure the problem. It’s more important to consult a doctor if you already have a medical problem like heart disease or diabetes. Heart disease affects circulation in the toes, while people with diabetes are more susceptible to infections and typically also have poor circulation, especially in the feet. A family physician or internist can treat many cases of nail fungus, but your doctor may elect to refer you to a podiatrist for more specialized nail care or therapy. If you have a chronic medical problem – and especially if you have diabetes or complications of diabetes like neuropathy – regular podiatric visits may be recommended. Although white spots on the toenails aren’t one of the major research topics, there’s still a fair amount of interest. The authors report that these nails can appear in people who have had chemotherapy, as well as those with the digestive disorder Crohn’s disease. They may also appear in some individuals for no known reason (idiopathic transverse leukonychia). The scientists noted that white nails occurred in almost a quarter of the 312 women studied. The changes in nail color appeared after the onset of pregnancy. In short, white spots in the nails are often no more than a minor cosmetic issue and will usually resolve on their own. However, nutritional deficiencies and fungal infections may require home remedies or medical treatment, especially in the case of nail fungus. People with chronic diseases like diabetes should take extra care to protect their feet and keep them dry and clean. You should conduct a regular inspection of the feet or ask a nail tech or family member to do so. This can help you become familiar with the normal appearance of your toenails and head off problems early.